The Illadelph beaker, 4 tree perc and honeycomb with ash cather and detachable dab rig binger not hitting you like it used to? Think a 22-foot bong would do the trick instead? For such a monstrosity, look no further than fabulous Las Vegas. Now that weed is legal in Sin City, Vegas is taking full advantage of “kush tourism,” so much so that it’s building its very own weed museum. Cannibition will open this summer as a full-blown “immersive cannabis museum experience.” Tickets start at $4.20 (noice), and its features include a 360-degree movie theater, stoner-themed art exhibits and the aforementioned 22-foot bong. Yeah. Just totally blew my mind, too, man. Constructed by Seattle’s Jerome Baker Designs, the bong will become the largest water pipe in the world. But major buzzkill, it’s just for looks. Even with weed being legal in Vegas, you won’t be able to buy it at the museum or take a world-record bong toke. But this is America, land of dreamers, just because we can’t hit the Cannibition’s giant bong doesn’t mean we’re going to stop trying to get as blitzed as possible. 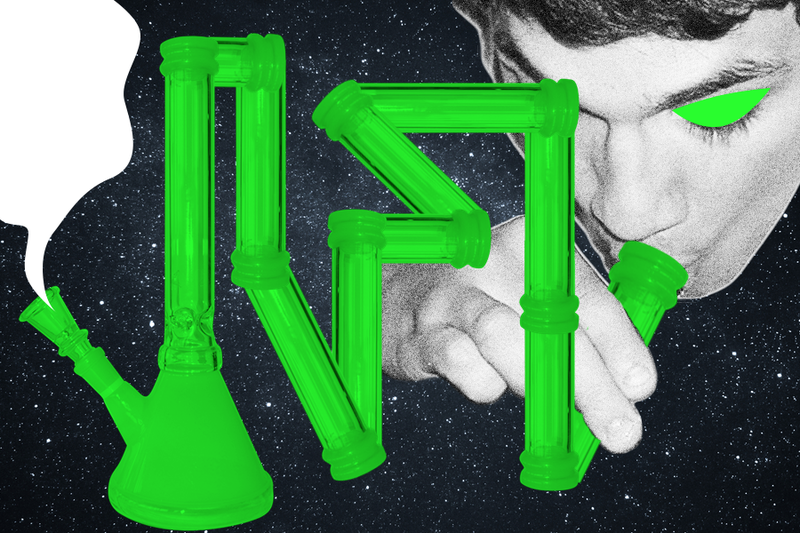 In the spirit of 420, I scoured the web looking for inspiration for my next weedventure. And a two-story binger is just the start. This Guy Had to Have Died Shortly Hereafter, Right?